Why is HI-CHEW Called HI-CHEW? Some really amazing products come about through challenging tradition and. HI-CHEW is one of those great inventions that has withstood the test of time to become a cultural icon. 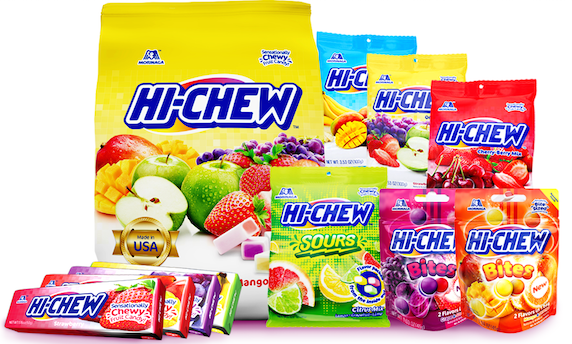 We can thank confectioner Taichiro Morinaga, who invented the chewing gum alternative we know as HI-CHEW. Why would someone create a chewing gum alternative you ask? 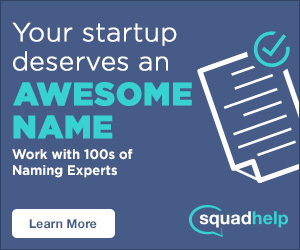 Just imagine you are heading into an important dinner meeting, you are well dressed, have practiced your responses, and are ready to take this meeting on like a professional. In a moment of stress, you pop a stick of gum in your mouth. You arrive at the restaurant, greet your dinner companions, and sit down. As you go to enjoy the communal appetizer you realize you have a big problem . . . how do you ever so discreetly remove that wad of bright pink gum from your mouth? Taking something out of your mouth is considered, well, tacky – as in classless, uncouth, unbecoming, and no good. In a culture where such an action was a major etiquette faux pas, Morinaga was seeking a solution. His idea was to come up with something that had the chewy texture of gum, but could be swallowed. Why is it Called HI-CHEW? Morinaga, who mastered candy making in the late 1800s, started with a candy that was unlike anything else available in Japan: chewy caramel. In 1956, a natural strawberry flavor was added and Morinaga marketed this new product under the name Chewlets. Fast forward to 1975, the recipe has finally been perfected and Morinaga & Company re-introduced Chewlets as HI-CHEW. HI-CHEW became the most popular chewy candy in Japan, propelling Morinaga & Company to become the largest confectioner in Asia. So how did HI-CHEW, a cultural icon in Japan, get to America? It took pork, baseball, and an aging population. Morinaga & Company faced the current reality in Japan: the population is aging. To keep the company successful, they had to either market HI-CHEW to an older population or find a younger population. They chose to seek out the younger markets abroad and a series of fortunate events came together to create the perfect solution. SEE ALSO: Why is Jelly Belly Called Jelly Belly? We are seeing HI-CHEW everywhere in the US now, and it would be easy to think that Japan is importing the chew candy by the cargo container load. That is not the case – there is a very real chance that the HI-CHEW you are eating today was produced in the United States. HI-CHEW exploded in popularity between 2008 and 2012. In 2008, Junichi Tazawa was a rookie Red Sox pitcher and as a rookie, one of his tasks was to keep the bullpen stocked with gum. Junichi stuck some HI-CHEW candy in the stash and soon the local Asian markets could not keep the candy in stock. The Red Sox reached out to Morinaga, and that lead to other teams reaching out as well. By 2012, HI-CHEW sponsorships with the Red Sox, Twins, and Cubs made Morinaga realize HI-CHEW could be a serious contender in the US candy market. By 2013 HI-CHEW sales in the US had doubled; and the MLB was ‘addicted’ to HI-CHEW candy. This lead Morinaga & Company to set up shop in the US, where they finally landed in North Carolina, breaking ground on a brand new facility in 2014. The new Morinaga & Company HI-CHEW factory’s location reduces the carbon footprint of HI-CHEW production in the US. North Carolina happens to be the nation’s second largest pork producing state. The HI-CHEW recipe requires gelatin, a byproduct of pork processing, and the gelatin plant is in the same industrial park as HI-CHEW. Sure, there are still ingredients that have to be trucked in from some distance away, but being centrally located to the source for gelatin is a thoughtful step in helping our planet.